RPR was a Los Angeles-based small-business consulting firm that provided technical and consulting services to the rail transit and heritage railway fields from 1999-2012. In 2012, company principal John Smatlak accepted a position with Interfleet Technology, at which time RPR Consulting wound down its business activities. This page remains to document projects worked on by the company prior to John’s joining Interfleet. In 2000, RPR debuted the U.S. Streetcar Systems web site to provide a resource for planners and others interested in learning about the potential for streetcar operations in their own cities. For those interested in heritage railways, Click here for a pdf copy of our “Project Manager’s Guide to Railcar Restoration Planning”. Kansas City Streetcar– 2012, RPR worked with the HDR consultant team, providing modern streetcar vehicle expertise. RPR led the vehicle technology task. WMATA LRT / Streetcar Interoperability Study– 2011-12, RPR worked with the AECOM consultant team, providing modern streetcar expertise. The study facilitated regional coordination on the various streetcar and LRT projects being advanced within the Washington DC metro area. City of Santa Monica– 2010-12, RPR teamed with Linda Meadow Davis to assist the City with the integration of the Expo Light Rail alignment, which will link Downtown Los Angeles with Santa Monica beginning in 2015. RPR assistws City staff with crossing design and safety certification, alignment and station concept design work, and agency interface. Columbia Pike Streetcar– 2011, RPR participated with AECOM, HDR, URS and SOJ and county / city staff in a peer review of the capital cost estimate for the Columbia Pike Streetcar in Arlington County VA.
APTA Streetcar Subcommittee– John Smatlak is an active participant in APTA’s Streetcar Subcommittee. Mr. Smatlak is currently the project manager for the Subcommittee’s Modern Streetcar Guidelines effort, developing industry guidelines for the implementation of modern streetcars in North America. Mr. Smatlak previously served as project manager for the Subcommittee’s vintage trolley vehicle equipment standard effort. Click here for a copy of the Vintage Trolley Equipment Standard. Mr. Smatlak presented a paper on the Vintage Trolley standard development effort (click for pdf file) at the 2005 APTA Rail Transit Conference. National Capital Trolley Museum– 2011, RPR prepared a restoration feasibility study for an historic 1912 streetcar in the Museum’s collection. The report is being used to assist with fundraising for the car’s complete rehabilitation, allowing it to return to service on the museum’s railway line. Tetra – IBI Group– 2010, RPR teamed with Tetra / IBI to prepare a conceptual study of a proposed transportation museum / archive facility at the Port of Los Angeles in Wilmington CA. New Orleans Regional Transit Authority -2010, RPR prepared a detailed appraisal report on one of the agency’s historic streetcars. Five + Design Architects, Hollywood, California- 2010, RPR prepared a Trolley System Conceptual Design Report for a 5+ client investigating the addition of a battery-powered circulator trolley to a new development. Coastal Heritage Society, Savannah Georgia- 2010, RPR prepared a Letter of Valuation for an historic streetcar owned by CHS. 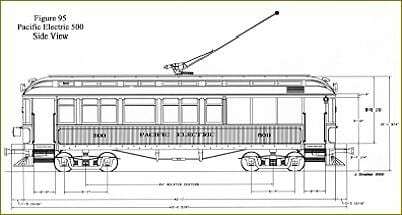 Gales Creek Enterprises– 2010, RPR provided a detailed evaluation and report on a 1917 Australian-built single-truck streetcar which is currently being completely rebuilt for heritage trolley operation in the US. Union Station Kansas City-2008-09, RPR prepared a Collection Development Plan, which was used by museum staff to guide the conservation, restoration and display of the organization’s collection of railway passenger cars. Port of Los Angeles Waterfront Red Car Line– 2007-09, RPR teamed with Wilson & Company, EDAW, Stone Consulting and other firms on a comprehensive study for expansion of the Waterfront Red Car trolley system. Six different extensions were studied along with a new maintenance facility, including detailed cost estimation and conceptual design of track, stations and power supply. John Smatlak served as assistant project manager for the study. The Red Car Line is operated by the City of Los Angeles- Harbor Department (a.k.a. Port of Los Angeles). CH2M Hill– 2008-10, RPR was part of a consultant team headed by CH2M/Hill that performed design work for the Sampson Way Roadway improvement project at the Port of Los Angeles. The project included design of a major line relocation for the Waterfront Red Car Line. Alstom-TLS- 2008-09, RPR was hired to assist with bidding two historic streetcar rebuild projects for the San Francisco MTA. RPR provided detailed documentation, parts sourcing assistance and general expertise on historic streetcars. TIG/m– 2005-10, RPR assisted TIG/m with parts acquisition, research and design efforts for themed rail trolley vehicles, including battery powered trolleys. San Francisco MTA– 2007, RPR provided a detailed appraisal of the three historic cable cars on display at the Cable Car Museum. City of Savannah, Georgia– 2006, RPR provided technical assistance to the City for their proposed Vintage Trolley line. Projects include preparation of a detailed Technical Report on the restoration of a Melbourne W-5 class streetcar owned by the City. Newstead Tramcars, Australia- 2006. RPR was hired to conduct an evaluation of historic streetcar No. 466, offered for sale to trolley operators in the US. RPR inspected the car in Ballarat and prepared a detailed report. Port of Los Angeles Waterfront Red Car Line– From 1999-2005 RPR served as the owner’s representative / primary consultant to the City of Los Angeles-Harbor Department (a.k.a. Port of Los Angeles), for services relating to the Port’s 1.5 mile heritage trolley line, which opened in 2003. RPR worked closely with Port staff on technical and regulatory issues, all aspects of system design and safety certification, as well as integrated testing and employee training. RPR also served as the primary consultant for the line’s initial maintenance facility and the development, construction, testing and safety certification of the line’s rolling stock, including two new replica Pacific Electric “Red Cars”. Orange Empire Railway Museum– John Smatlak has had a long affiliation with the non-profit Orange Empire Railway Museum, one of the nation’s largest collections of historic railway equipment. Mr. Smatlak became a museum member in 1984 and has done pro-bono work on a wide range of acquisition, fundraising, conservation and restoration projects. Astoria Riverfront Trolley– In 2005, RPR performed an appraisal of the group’s operating trolley, a 1914 product of the American Car Company, and also provided technical assistance on maintenance issues. Pennsylvania Trolley Museum– In 2002, RPR performed an appraisal of the Museum’s nationally- recognized collection of 50 historic trolley cars, providing a detailed report on the entire collection along with an estimate of fair market value. In 2005, RPR was hired again in order to update the appraisal. City of Torrance– In 2003, RPR provided consulting services to the city’s Parks Department on stabilization and display of a city-owned trolley car. City of Riverside, Ohio- In 2001, RPR reviewed a proposal to operate vintage trolley service between the US Air Force Museum and the Huffman Prairie Flying Field historic site, and served as facilitator for a strategic retreat for city staff and local business leaders. L.A. Railway 1435 Project– RPR performed a condition survey of this streetcar prior to acquisition and shipment to Los Angeles for potential use as a display in the downtown area, and also served as a sub-contractor to California Waterproofing & Restoration, who developed a restoration proposal for static display of the car. TransMachine– In 1999, RPR developed a comprehensive Restoration Feasibility Study for the TransMachine Foundation of Torrance, CA, for their project to adaptively reuse a former Pacific Electric railcar body as part of a transportation-themed children’s learning center. U.S. Streetcar Systems web site– RPR’s US Streetcar Systems web site, originally developed in 2000, provides planners and public alike with a comprehensive resource on U.S. streetcar operations. The site covers streetcar operations in more than 40 North American Cities, along with background information on equipment and other resources. It is continuously updated and has become a valuable industry resource.